Bayfield is a pretty little village full of forward thinkers and trendsetters. 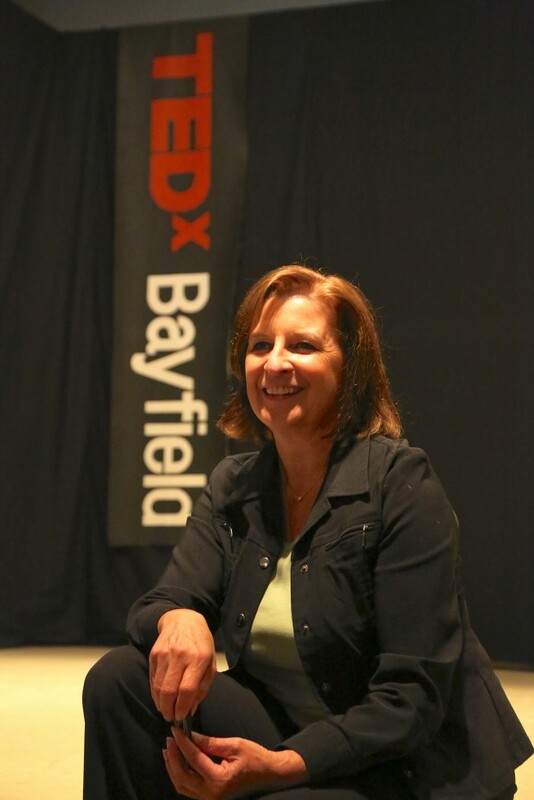 Tucked away on the shores of Lake Huron with century buildings, inns with spas and trendy shops, Bayfield has once again put itself ahead of the rest with a TEDx event and I was one of the esteemed speakers. TED events are known around the world as places where “ideas worth spreading” are presented in well-rehearsed short 17-minute talks. 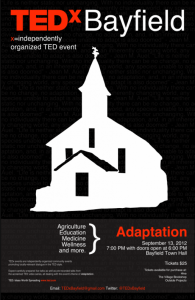 The talks are then uploaded as professionally-produced videos to the TED.com video archive. It’s a tall order to talk for 17 minutes and yes it is a tense situation. You’re being video taped so your talk is live – no stumbling, no forgetting your lines. My talk was on the $10 Challenge, or the benefits of buying local. 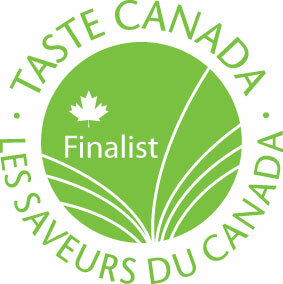 Because I’m a food writer I use food to promote the buy local idea, but really it will work with so many other things. We live in an international world but it wasn’t always that way. Once upon a time all of our food and other tools and commodities we needed were made very close to where we lived and everyone had jobs and a comfortable enough living. A few decades ago the international concept really took hold and our leaders and governments decided going global was the way of the future. All I know is that we have growing poverty and unemployment so there’s fewer people to buy the cheaper goods that are produced on the other side of the planet and consumers are terrified to eat their next bowl of spinach for fear they’ll die from contaminated food. It’s a sad state of affairs but not an unfixable one. I can see another way very clearly and to make it happen it’s up to consumers, not leaders of government – it’s up to us – yes you and me. As consumers we just need to be very conscious of where the food or products we buy are coming from and choose to buy local. 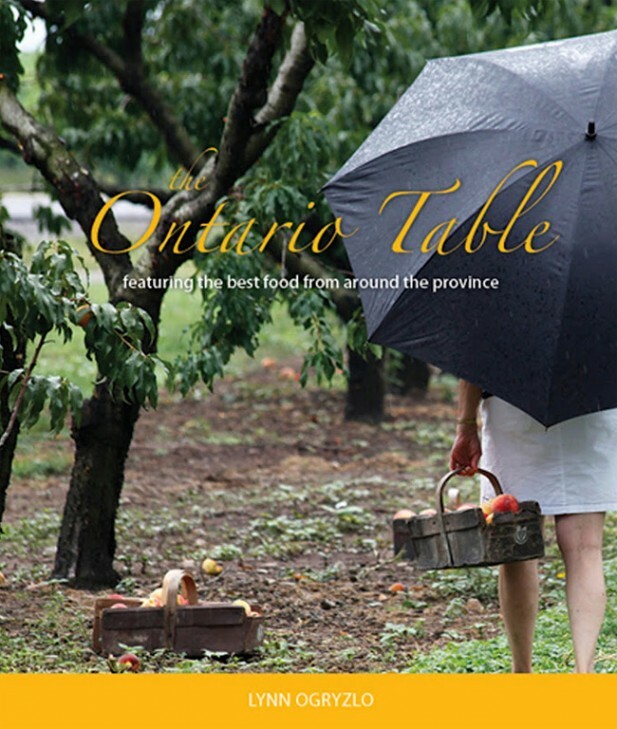 As a food writer I have always used my column to promote local farmers and local food of the region, then I branched further afield to promote the great food from Ontario. I found farmers that are having difficulty making ends meet and others who are creating totally new foods. I travelled from one end of the province to the other and discovered that we have a bountiful food industry that starts from the ground and includes processed foods (meat, dairy) and artisanal food products (cold pressed soya oils). It’s a delicious industry that is under many global threats, but an industry we can easily sustain. What we need to do is simply about every product we purchase. When we buy locally, our money circulates and entire communities prosper, government budgets grow and more people have jobs. Many don’t understand the concept of local so over the years I’ve developed many tools to help. Check out the books on-line here. Buying local is a small idea that empowers each of us to make a big difference. So how does buying local work? Click on this link to listen. Hi, is it possible to get a transcript of Lynn's Tedx talk? Hmmmmm, unless someone was taking notes (I only had 5 one-word topics in my head) there is no transcript of my talk. Sorry about that.